Did this piece in record time for the Globe's opinion section. It illustrates an in depth article by Michael Coren on the struggles facing progressive christianity. Thanks to Bryan Gee at the Globe for the opportunity. 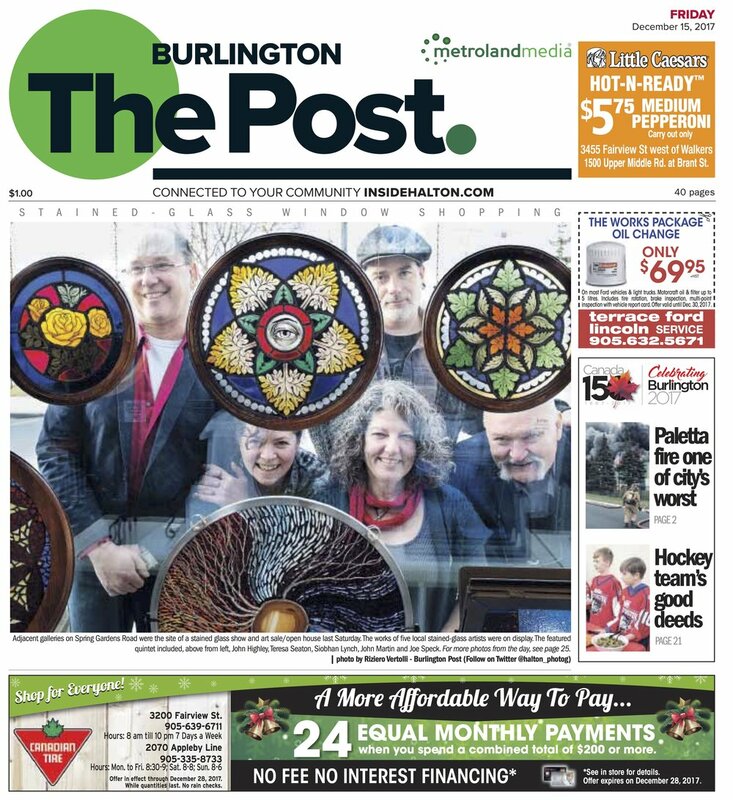 We made the front page! (left to right) John Highley, Teresa Seaton, Siobhan Lynch, Me, Joe Speck. 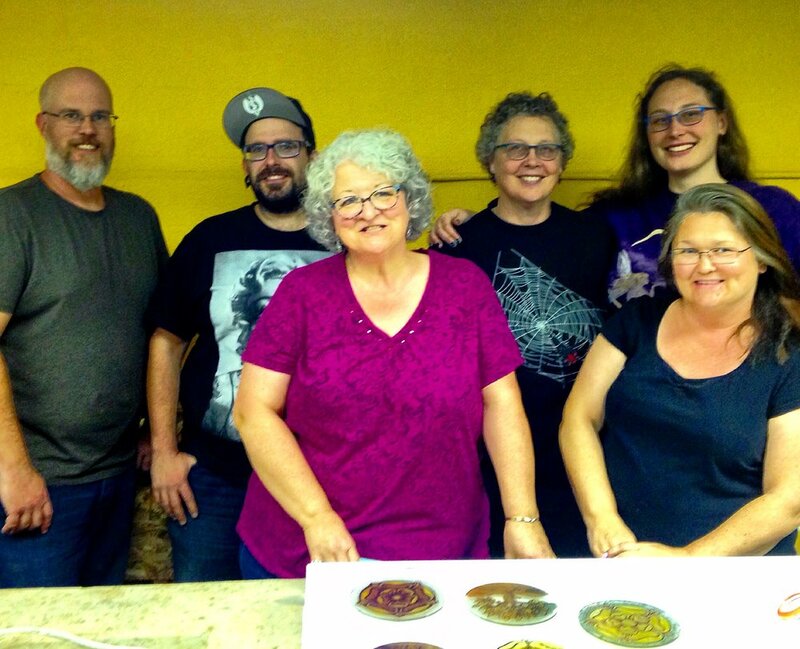 Proud to be a part of this talented and supportive group of glass artists. Old boxes filled with special pigments and brushes. Coloured glass catching dust until it's fashioned into something.